California State University announced yesterday it will install Tesla Powerpacks at several locations around its campuses, delivering roughly 2 megawatts of power and reducing electricity costs by millions. 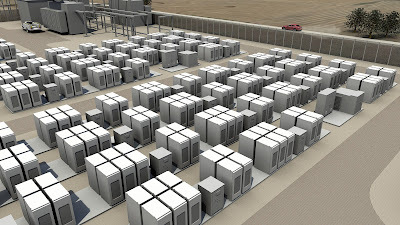 Advanced Microgrid Solutions (AMS), official partner of Tesla Energy, will oversee the first phase of the project where 30x40 feet Tesla Powerpacks will be installed at CSU's Long Beach campus by October, storing 6MWh of energy during none peak hours to power almost 2,000 homes, thus saving $3.3 million in electric utility costs. The rest of the Powerpacks will be spread out between CSU office of the Chancellor and the Dominguez Hills campus by mid 2017, delivering a total of 12MWh of energy storage. CSU campuses will be able to enroll in the advanced energy storage project through a standardized contract and offering. Officials said the energy storage project will be the largest of its kind at an educational institution in the United States. CSULB’s Climate Action Plan aims to achieve "climate neutrality" by 2030 through reducing greenhouse gas emissions associated with campus operations and activities. In addition, the University will provide Southern California Edison with critical capacity during times of emergency in summer. Paul Wingco, associate director of physical planning and facilities management at CSULB, added that the University will install a solar energy system by 2017 to stabilize the campus grid and reduce the utility costs even further. "When the heat gets really bad and the whole world turns up their air-conditioning, including us, we’re able to kick in the batteries so it’s not so demanding on the grid, and we save some money doing that," Kenny Seeton, central plant and energy manager for the campus, concluded. AMS announce last year that the company has selected Tesla as the primary technology provider for its groundbreaking utility-scale energy storage projects. 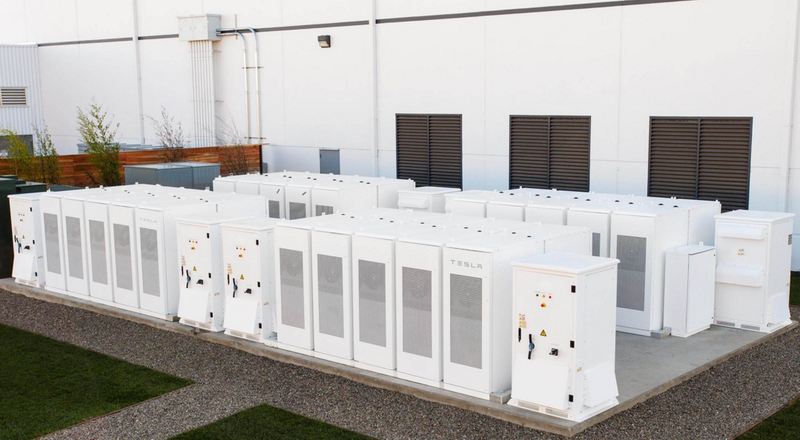 Under the agreement, AMS will install up to 500MWh of Tesla batteries in its energy storage projects. 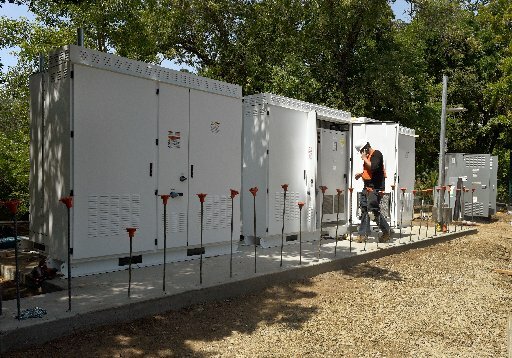 Tesla Energy has recently announced it will provide 52 MWh Powerpacks to SolarCity for its massive solar power project that it’s building in Hawaii for the Kaua’i Island Utility Cooperative (KIUC), and 4MWh Powerpacks to College of Marin in California.